Competition for the world’s most thankless jobs is hotting up. Donald Trump’s chief of staff, the Premier of China, the official standing next to the UK’s Panglossian Secretary of State for Exiting the EU, David Davies – all these jobs have, as their number one objective, taking endless blame when failure comes – as it almost inevitably does. The other commonality for all of these positions is that the incumbents are answerable to famously treacherous bosses – ones who place their own sense of mission over that of any subordinate serving them. To this list can now be added that of the Chinese chief envoy on North Korea. For Kong Xuanyou, who took over from veteran diplomat Wu Dawei earlier this month, the only aspect of his predecessor’s career he might want to emulate is the ability to survive. Against all the odds, including being frozen out at various key moments by the North and South Koreans, both of whom castigated him as a traitor and incompetent, Wu lasted more than a decade. This is all the more remarkable in view of the change of leadership at the top in North Korean, South Korean and Chinese politics over this period, and the dramatic shift between a US-North Korea mini détente in the mid 2000s to the complete breakdown of relations thereafter. Kong will have to have the same suppleness and dexterity as Wu. He will also have to have a thick skin, because he is dealing with some of the world’s most prodigiously talented producers of invective. North and South Korea are tough opponents. Both sides are proud, occupy utterly different parts of the political spectrum, and are dealing with a history of bitter division going back decades. They are also equally convinced they, and they alone, carry the flame of authentic Korean national identity. As one diplomat experienced in these matters wearily commented to me over 15 years ago, when things were relatively good, 'They are the ultimate stubborn negotiators'. China’s position is to try to hover above this, doing its best to preserve the status quo simply because any other outcome is too risky and not in its favour. That means somehow avoiding the US getting too pushy, avoiding North Korean blackmailing it with nuclear brinkmanship too overtly, and maintaining the important economic links with South Korea. On top of this, one only has to add the role of Japan and Russia into the mix to see why the smile on Kong’s face when told the news of his promotion may well have been a nervous one. On top of every other consideration comes the timing of Kong's move into the chief envoy role. Never before has North Korea been more troubling, its nuclear program seemingly more successful than anyone suspected, and the country well on the way, under the maverick young leader Kim Jong-un, to being able to deliver nuclear-loaded ballistics to US assets. There is also the slight matter of the volatile, flailing presidency of Trump, whose Korean peninsula-related Tweets were scary enough to get the Chinese President Xi Jinping on the phone in mid-August to request restraint. For once, the world should be thankful that the two populations in the world likeliest to be most inflamed by Trump’s attacks – China and North Korea – are also two places where Twitter is blocked. All of these issues are peripheral for Kong, however, because in fact his number one job description objective is a gloriously simple: to keep Xi Jinping happy and assure him he is doing a good job. Kong might have some luck here. It is likely that at the 19th Party Congress later this year, where elite political leadership changes in China will be made, the current person in the Standing Committee of the Politburo with the most knowledge about North Korea (he even studied there in the late 1970s for two years), Zhang Dejiang, is likely to step down. If any figure stands for the notion of treating Pyongyang with kid gloves, and making sure it is never forced into a corner, Zhang is it. His retirement, if it happens, will be an important symbolic moment, because in a way it will mark the transition from the generation with a more sentimental, emotional link with the North Koreans among Chinese officials and politicians to another with a far harder nosed, more pragmatic approach. It is much likelier now that China, with its great moment of national rejuvenation in sight, is going to be less interested in being put in nasty predicaments by its impoverished, failing neighbour. 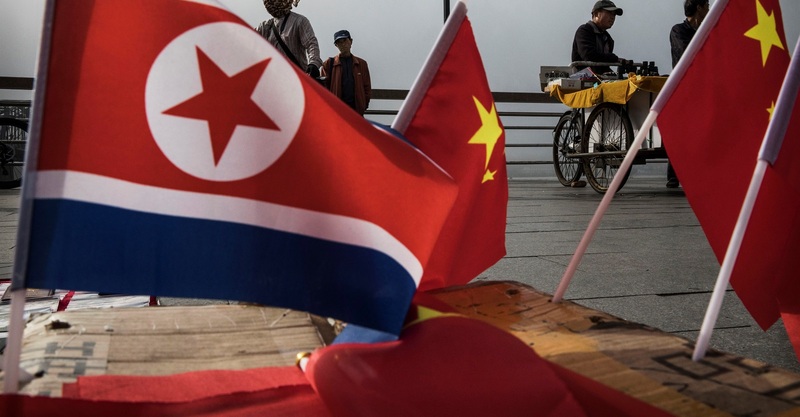 Kong, ethnically Korean himself, will be the man who will need to traipse on behalf of his masters in Beijing to deliver what will often be bad news. That he might be able to endure. The one thing he cannot survive for very long is to return to Beijing with reciprocating problems. Let’s hope he has a lot of luck. He is going to need it.